All IT projects need a valid business case, executive sponsorship, and clear objectives, however, when deploying a next generation CRM system, there are a number of other key objectives you need to be conscious of. Hear from Paul about two of the most important to consider before you start your project. Hi, my name’s Paul and today we’re going to talk about some tips for successfully implementing Microsoft Dynamics CRM. So all IT projects need a valid business case, executive sponsorship, and clear objectives. When deploying a next generation CRM system, there are a number of other key objectives you need to be conscious of. That’s what we’re going to cover off today. There are obviously a huge number of steps to consider when implementing modern CRM, but today we only have time to focus on what I believe are probably the two most essential steps for getting started successfully. So my first tip is get your strategy right first. Legacy CRM systems were often built for individual business silos. Modern solutions can deliver you a full, omni-channel CRM. What that means is really sitting down as an organization and deciding how your organization wants to interact with its customers. The way that we suggest doing that is to create a customer journey map and at PowerObjects we have a huge amount of experience doing that and helping a lot of organizations do that successfully. My second tip is understanding the art of the possible. Technology can be incredibly disruptive but also give you a huge amount of differentiation against your competition. You need to think very carefully about the value that social engagement through a modern CRM platform can give you to understand what your customers are thinking about you and also interact with them in the way that they want to communicate. Equally, chatbots and Internet of Things are innovations that can be now found within Dynamics 365 that can allow you to do things that you couldn’t have done before. So that was a very brief introduction to a couple of the key tips for how to successfully start your CRM implementation. 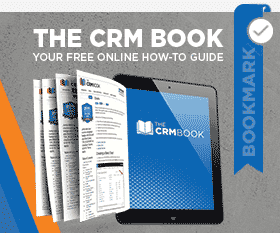 To find out more around the rest of the program, please do download my white paper the Seven Steps for Successfully Implementing CRM, using the link below and thank you very much for watching The CRM Minute.